Loving you made me strong but it also made me weak. It made me happy but also depressed. It helped me up but also pulled me down. 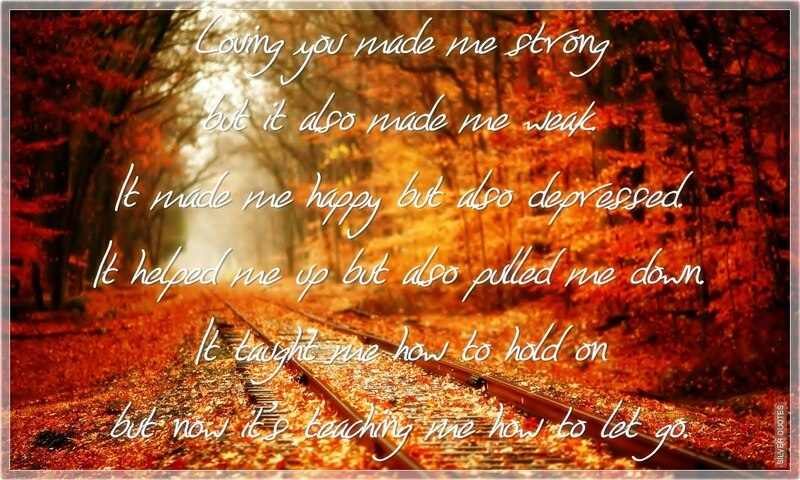 It taught me how to hold on but now it's teaching me how to let go.